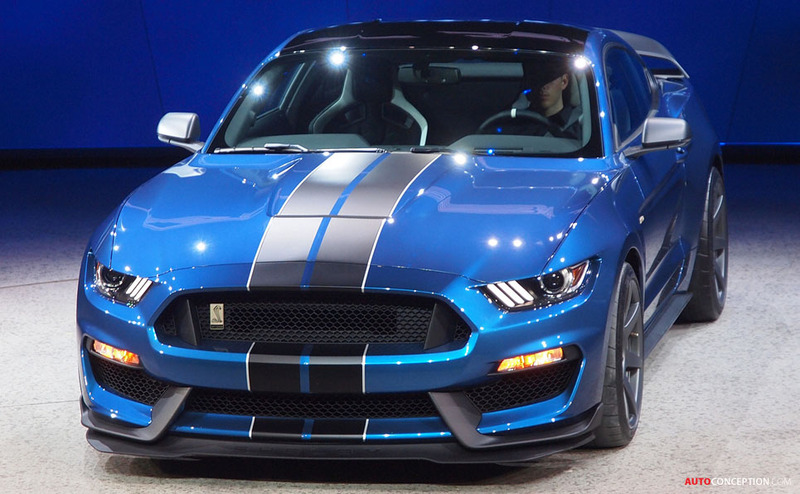 Ford has unveiled the new Shelby GT350R Mustang, which is being touted as the most track-ready road-going production Mustang ever built. In 1965, Ford and Carroll Shelby developed a road-racing version of the popular Mustang – the Shelby GT350 Competition model. Lighter, more powerful and with an advanced suspension system, it remains one of the most famous racing Mustangs ever produced. 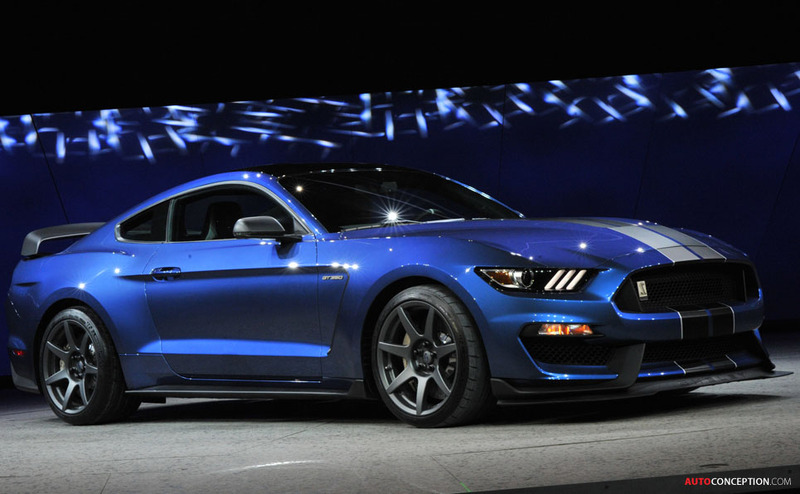 Arriving later this year, Ford says the new Shelby GT350R has been designed and engineered in the same spirit. 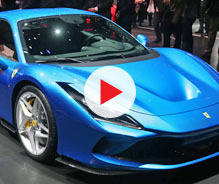 The car features the first-ever production V8 from Ford with a flat-plane crankshaft – the most powerful naturally aspirated engine Ford has ever produced – plus a specially tuned suspension. 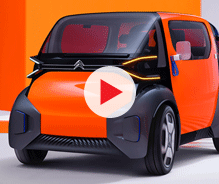 It is fitted with revised spring rates and antiroll bars, lower ride height, custom track-tuned alignment settings, revised bushings and jounce bumpers, cross-axis ball joints in the front suspension, and revised calibration controlling the MagneRide dampers. Lightweight carbon-fibre wheels are standard too, making Ford the first major carmaker to introduce such wheel technology as standard equipment. 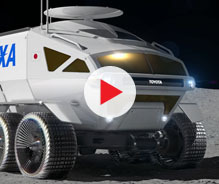 The wheels will benefit the car’s performance by shaving critical unsprung weight and reducing rolling inertia. Ford designers say the 19 x 11-inch front and 19 x 11.5-inch rear wheels provide approximately 13 pounds of unsprung weight reduction per wheel and offer higher levels of stiffness than equivalent aluminium wheels. 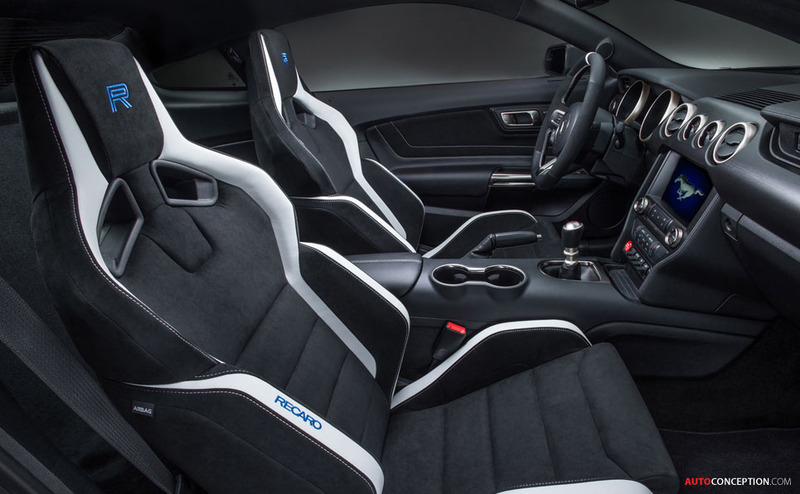 To meet aggressive targets for weight reduction, Ford engineers have also removed items such as the air conditioning, the stereo system, rear seats, trunk floorboard and carpet, backup camera and emergency tyre sealer and inflator. Exhaust resonators have additionally been removed for further weight savings. 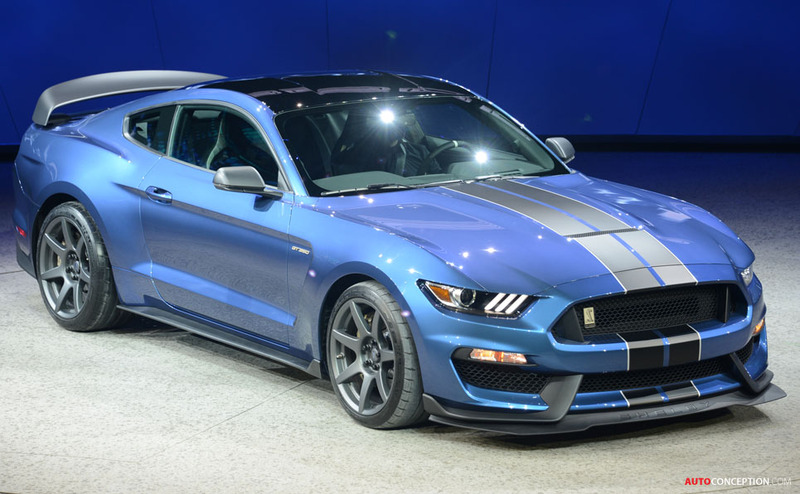 As a result, the GT350R is more than 130 pounds lighter than the Shelby GT350 Track Pack model, which has so far been involved in multiple 24-hour racetrack tests. 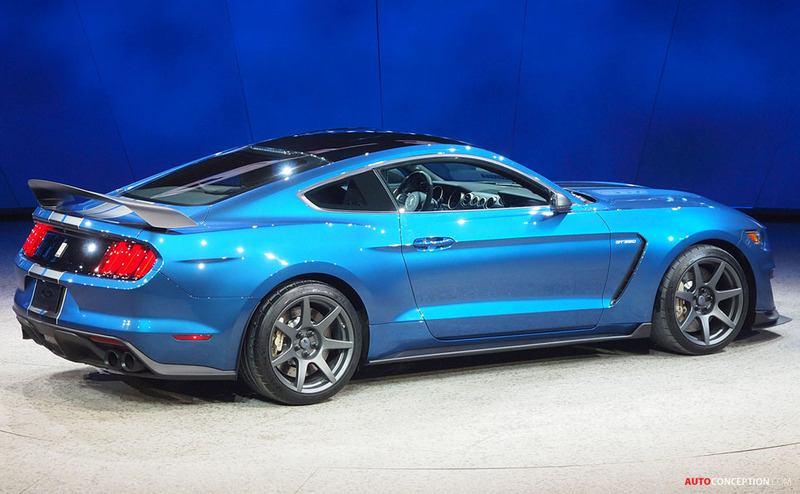 Aerodynamic details including the hood vent for heat extraction and lift reduction, underbody belly pans front and rear, an aggressive diffuser, vented wheel wells and turbulence-reducing fender vents, wheel air curtains and side skirts all remain on the GT350R, but the car’s downforce capability has been increased. Revisions to the front splitter add downforce, while an all-new carbon-fibre rear wing has been added in anticipation of competition. 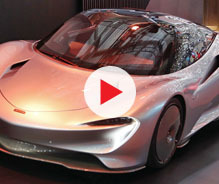 The limited-production car will be available in the United States and Canada later this year, and is one of more than 12 new Ford Performance vehicles coming by 2020. 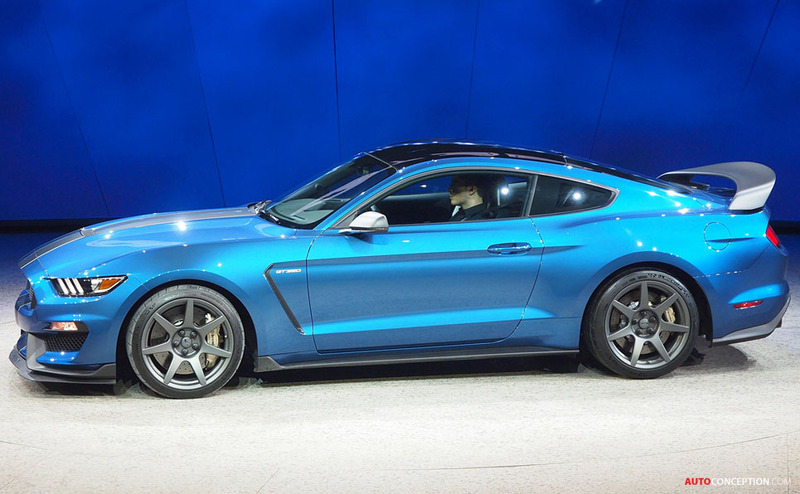 All-New Mustang Shelby GT500 Becomes the Most Powerful Street-Legal Ford Ever!